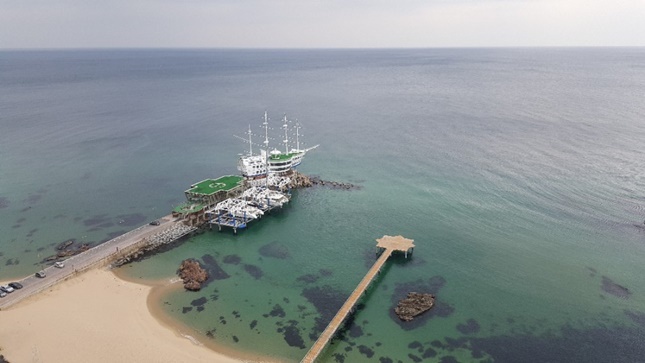 “Sun Cruise Resort”, It is a unique and beautiful resort introduced to CNN. Home/news/“Sun Cruise Resort”, It is a unique and beautiful resort introduced to CNN. The East Sea of Korea has many tourist attractions and many tourists come to see these sights. You can see the sunrise prior to any place in Korea, in which Jeongdongjin of the East Sea is renowned for one of the most beautiful sunrise places in the world. 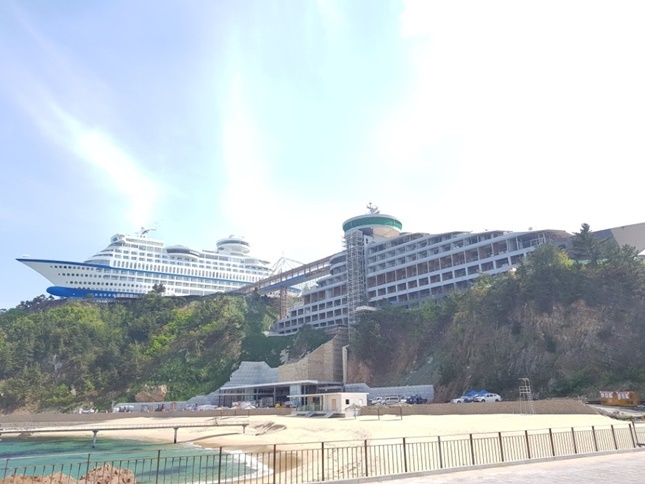 Corailing products has been used in one of these famous locations, specifically at Suncruise Hotel, Jeongdongjin. 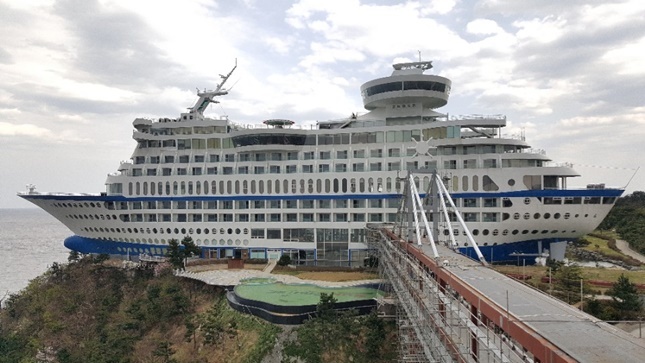 Suncruise Hotel is a 5-star luxury hotel, in which rooms are consisted of hotel & condo resorts, ship-shaped architecture and land cruise resorts for lovers and families. It is also a beautiful resort that was introduced on January 1, 2016 by CNN <12 unusual hotels you will not believe actually exist>. Corailing products are to be installed at this fascinating resort soon so that the sunrise can be enjoyed by our loved ones. Corrosion or durability matters of the product especially given that the location is near the ocean and how sustainable will the products be when the authentic materials are used. What kind of high-quality products would best suit a 5-star hotel. Whether the deadline of product delivery is prompt or not. If the products are well customized, installed and constructed regarding the requests of the ordering organization. The key itself is inside Corailing. Corailing products use POSCO materials which contributes to great durability and have longer maintenance period both on land and in the ocean than any other products. Fundamentally, the corrosion rate is very slow and it satisfies the orderer, user and to whom it may concern with classic and modern design, in which upgrades the installed location’s atmosphere. Furthermore, our own factory certified by ISO is being operated which enables prompt delivery. Lastly, we have a specialized construction team, which shows customized manufacturing for the design of the one and only location can be done by the first consulting.